In beginning to make WOW, I started thinking about what it would be like to make something that was entirely sincere without a hint of irony or trying to be clever. 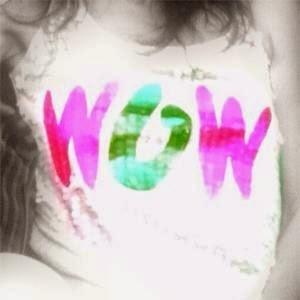 Keely Garfield's WOW is a luminous mess that makes me smile, and I mean that sincerely. WOW encircles the music of Kate Bush, whose song "Wow," ironically, seems to lash at the insincerity of the entertainment biz. The hour-long production, running now at Danspace Project, is an act of disruption, an unmasking with occasional masks, a mouthful of Pop Rocks, a baptismal immersion in feelings that continuously build, ebb and build again. Theatricalized for performances that, after all, will happen over three evenings, these feelings nevertheless appear to originate in and take their sustenance from someplace real. WOW's a trip down the sub(terranean)way where public announcements end up not being what they seem at first. The edge comes off. These are not quite the expected MTA alerts any typical New Yorker could repeat out of a deep sleep, but dreams could produce the disarming little things Garfield turns them into. A dancer (Leslie Kraus) pulls up a chair and locks with you, eye to eye, allowing all the sun to come through her face, and she cracks up, unable to hold anything back. A duet happens but with Garfield and Paul Hamilton endlessly writhing, wriggling their backs against the floor, and you might wonder where you, the baffled viewer, are located. Physically, you've retained your seat, surely, but has your vantage point somehow shifted to the air above this pair? No, that doesn't quite feel right either. Let's ask again: Where are you? Big gestures and energies come unleashed; hills are run and conquered by desire. You're in the presence of a playful, exuberant mind, like that Facebook poster, "a browser with 2,857 tabs open. All. The. Time." Garfield's thousands of tabs include her collaborators, among them Brandin Steffensen, Jordan Morley, Hamilton and Kraus, each dancer a resource so wonderfully distinct and fascinating; singer/pianist Matthew Brookshire; and Kathy Kaufmann, whose lighting wizardry transforms the gaping openness of St. Mark's into the intensified dramatics of a proscenium. WOW closes with tonight's performance at 8pm. Get information and tickets here.